“We have been a partner with The Star for more than two decades in providing scholarships to deserving Malaysian students. In line with our founder, Tan Sri Jeffrey Cheah’s mission and commitment to give back to society and the belief that education could lift one out of poverty, the Sunway Education Group through the Jeffrey Cheah Foundation (JCF) has been championing sustainable education since the late 1980s. Tan Sri has pledged to disburse RM1bil worth of scholarships in his lifetime and to date the JCF has awarded RM330mil and another RM70mil (the highest amount awarded in one ceremony so far) will be given out by the end of this year. The Sunway Education Group is also committed to the 17 United Nation’s Sustainable Development Goals (SDGs) particularly SDG No 4, which is to provide quality education. “We have a long-standing relationship with The Star to promote higher education access to Malaysian youths. “Monash University Malaysia is delighted to work with the Star Media Group to provide educational opportunities for young Malaysians. “RCSI & UCD Malaysia Campus (RUMC; formerly Penang Medical College) were honoured to be able to pledge a full medical scholarship worth over RM600,000 to the Star Education Fund in 2018. The fund is an integral part of RUMC’s vision to reach out to Malaysian students who are academically excellent with a heart to serve their society. The applications received from the Star Education Fund applicants were exemplary in quality and the pledged scholarship in 2018 was awarded to an excellent Malaysian student, Chan Shu Chen. Our partnership with the Star Education fund is in line with RUMC’s objective to provide essential scholarships to transform the lives of well deserving students who would otherwise find it a challenge to afford to study medicine in an international university. As Malaysia’s 10th Foreign University Branch Campus, we are aware of the challenges of entering a prestigious medical school which offers a truly global education, with study occurring in Dublin and in Malaysia, and as such RUMC hopes to continue to pledge a scholarship to the Star Education Fund in the coming years. Of the 31 institutions that supported the Star Education Fund this year, the University of Nottingham Malaysia is proud to be the second biggest contributor. This year we pledged RM1,146,900, which supported nine students. We hope that it helps transforms the lives of those that we are able to support. The University of Nottingham Malaysia has supported the Star Education Fund since 2003. It’s just something “we do” but it’s only when you meet the people that benefit that it really strikes home how important it is. 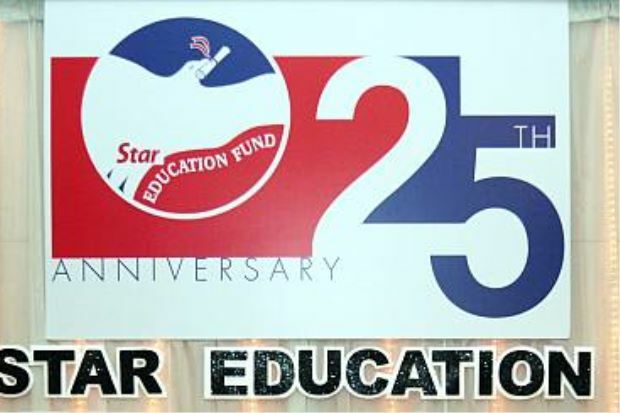 I was delighted to have this opportunity to meet many of the beneficiaries when we celebrated the 25th anniversary of the Star Education Fund last weekend. More than 100 students have benefitted from our support alone, which has totaled more than RM15mil. It has been a pleasure working with The Star and we looking forward to working with them in the coming years. “As a new partner of the Star Education Fund, the University of Reading Malaysia (UoRM) is honoured to be part of the education fund and its legacy on the opportunities it has brought to young people across the country. After a careful selection process, five scholarships were awarded this year to deserving students to study at UoRM. We look forward to a long term collaboration with the fund. Offering the best of British higher education in a Malaysian setting, UoRM may well be the ideal choice for students to further their studies. The scholars currently studying at UoRM are doing tremendously well in both academic and co-curricular activities. We can see that they are having a great time at our state-of-the-art campus in EduCity, Iskandar Puteri, Johor.